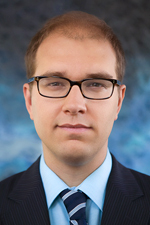 Sébastien holds a Ph.D. in environmental studies from Yale University, an M.Phil. in international relations from the University of Cambridge, an LL.M. in international law from the London School of Economics, and B.C.L. and LL.B. from McGill University. Sébastien recently served as the president of Génération d’idées, a think tank focused on the interests and participation of Quebeckers aged 20 to 35. Prior to his appointment at McGill University, he worked for the Centre for International Sustainable Development Law, the Canadian Centre for International Justice, Amnesty International Canada, and the United Nations International Criminal Tribunals for Rwanda and the former Yugoslavia. Sébastien has received numerous awards and honours, including the Transnational Environmental Law Fifth Anniversary Issue Prize, the 2012 Public Scholar Award from the Yale Graduate School of Arts & Sciences, a Doctoral Scholarship from the Pierre Elliott Trudeau Foundation, a Doctoral Fellowship from the Social Sciences and Humanities and Research Council of Canada, and a Public Interest Law Articling Fellowship from the Law Foundation of Ontario. Sébastien currently serves as the Principal Investigator for a SSHRC Insight Development Grant on the role of human rights in transnational climate change law and advocacy. Sustainable development, transnational law, public policy, environmental law and governance, climate change, human rights, disability, social innovation, and socio-legal research. Sébastien Duyck, Sébastien Jodoin, Alyssa Johl, Eds. 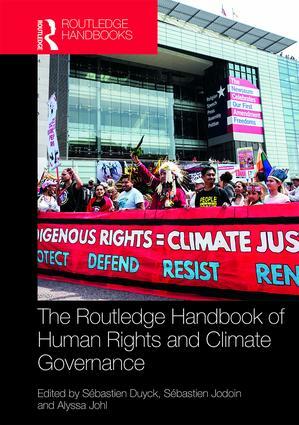 Routledge Handbook of Human Rights and Climate Governance (Routledge 2018). 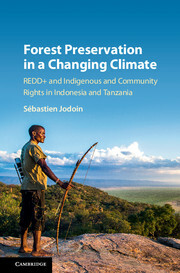 Sébastien Jodoin, Forest Preservation in a Changing Climate: REDD+ and Indigenous and Community Rights in Indonesia and Tanzania (Cambridge, UK: Cambridge University Press, 2017) (open-access electronic version available here) (link to publisher's website). Sébastien Jodoin & Sarah Mason-Case, “What Difference Does CBDR Make? A Socio-Legal Analysis of the Role of Differentiation in the Transnational Legal Process for REDD+” (2016) 5(2) Transnational Environmental Law 255-284 (link to article on journal’s website). "This book brings together leading scholars and practitioners to offer a timely and comprehensive analysis of the opportunities and challenges for integrating human rights in diverse areas and forms of global climate governance. The first half of the book explores how human rights principles and obligations can be used to reconceive climate governance and shape responses to particular aspects of climate change. The second half of the book identifies lessons in the integration of human rights in climate advocacy and governance and sets out future directions..."
"provides a comprehensive socio-legal examination of how global efforts to fight climate change by reducing carbon emissions in the forestry sector (known as REDD+) have affected the rights of indigenous peoples and local communities in developing countries. Grounded in extensive qualitative empirical research conducted globally, the book shows that the transnational legal process for REDD+ has created both challenges and unexpected opportunities for the recognition and protection of indigenous and community rights."